The 40ft. express launch which is being built for Tasman Empire Airways by Mr. C. Wild, of Stanley Bay. Something I have never seen before....the retractable (and steerable) manouvring searchlight built into the nose of Empire flying-boats. CLICK HERE to view a photograph showing this light. A couple more for this thread - both Whites. Don't have a date for this. 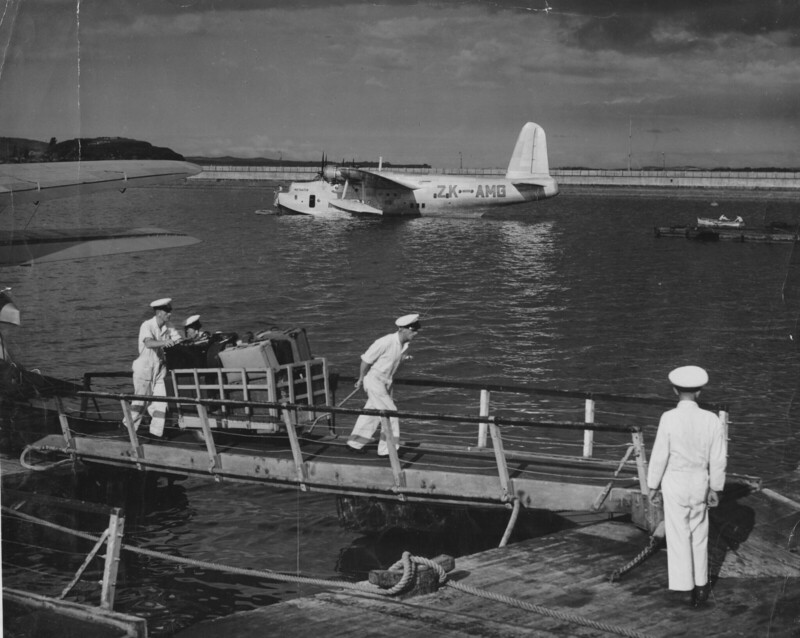 The unloading bags refers to the aircraft seen at the left - RMA Auckland. I love this Sunderland mural at Beach Haven! Looks great, apart from the obvious (to us, anyway) errors in the description. Many years ago, there was a stock truck in Wairarapa which had each side painted as a mural with the two sides of the fuselage of Short Solent 4 ZK-AMO “Aranui”. It was painted in the livery used on the Coral Route after the Solents were retired from trans-Tasman services and also used by TEAL's DC-6 airliners prior to the arrival of the Electras. It had all the windows in the correct places on both levels (upper and lower decks, including the cockpit windows) which actually corresponded with the two stock decks. So you'd see this stock truck travelling along the road with the windows in the same places as on “Aranui” but with sheep's faces in the windows. I did a couple of double-takes when I first saw it. Unfortunately, I never got around to photographing it, then it disappeared (most likely was repainted). If I recall correctly I'm sure I read somewhere of a Sandringham flight, ex Rose Bay, when the engines were not performing properly. 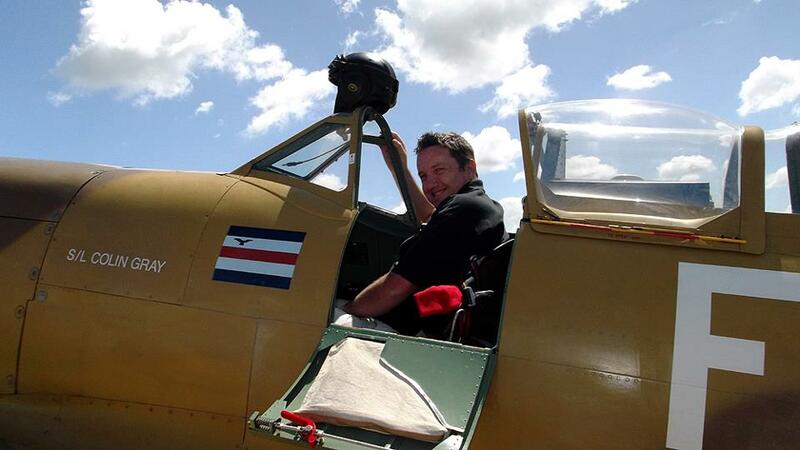 On this occasion I think it turned out that although the right labels were on the fuel drums the contents pumped into the aircraft turned out to be vegetable oil. Whatever it was, it "was not true to label". Was this the same occasion? That was a TEAL Short S.45A Solent 4 flying-boat. Somewhere at home in one of my bookcases is a book which tells the tale of that incident within its contents. However, I'm currently a moving target (have been travelling for the past couple of weeks), so don't have access to my book library at the moment and also haven't been online much. If nobody else comes up with the answer before I get home again in a couple of days, I'll go looking for the book in question and post details of the incident. But the worst incident was more horrifying in its implication. 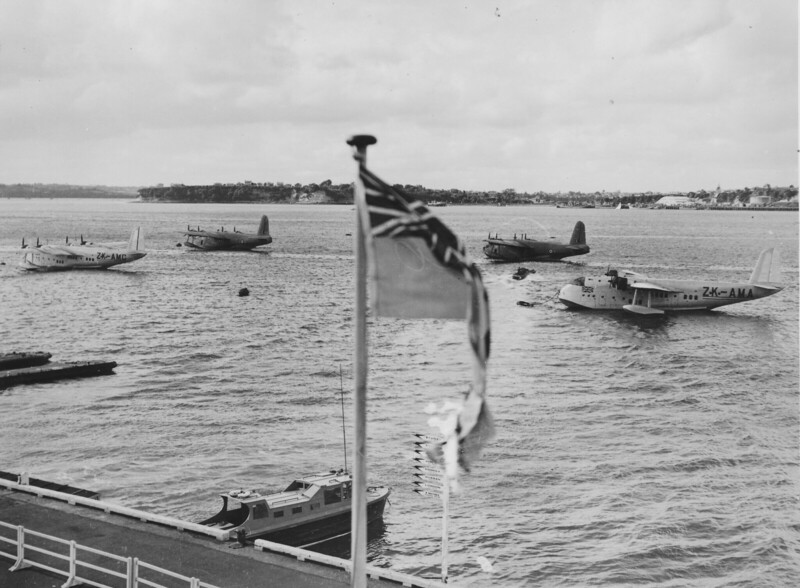 A fully laden Solent had taken off from Rose Bay into a strong westerly wind that had roughed up the harbour waters with a two foot chop and the aircraft turned across the city, climbing to head for Auckland. Fifteen minutes out on the climb, down in the cabin the stewards and the hostesses were starting to serve the light supper. The the Flight Engieer called an urgent warning over the intercom saying that the oil pressure was failing on one engine and without hesitation the skipper feathered it and at once started to turn back to Sydney. Within a few minutes the shocked voice of the engineer came up again on the intercom saying that a second engine was also dropping pressure. The skipper, Ian Patterson, held his hand off the feathering button while he thought about his situation. The strong westerly was slowing their groundspeed and the shore line lights were still miles ahead. The red eye of the oil pressure lights started unblinking at him in the darkness and it was almost with a sense of deja vue that the engineer's voice again came up to say a third engine was showing the same symptoms. The Solent had no facility for dumping fuel and the Captain knew that he had no choice but to try and keep the aircraft in the air as long as possible and keep the engines turning until they would turn no more. At 500 feet above the Heads, towards Watson's Bay, the last red light joined its fellows. The temperatures had gone off the top of the gauges and the flare path was still a few miles ahead as the Captain drew on his great resources of skill and his airmanship juggling the last few knots against the few remaining feet of height left and, in the darkness far short of the distant flarepath but thankfully within the harbour waters, the keel touched and the boat became one with the sea again. A launch from Rose Bay raced to them and took the aircraft under tow to moor back on the buoy from which it had slipped so short a time back. What had happened? What had caused this near disaster? Within a few hours it had been traced back to a drum from the oil stocks which, instead of containing lubricating oil, had carried a fluid used to cool the cutting tool of a metal lathe. It had no lubricating qualities and the bearings at the moving heart of the four Hercules engines had torn themselves apart, finally to seize solid with the heat. Captain Patterson's skill and calmness that night undoubtedly saved the airliine from its first disaster and the DSO that he wore from his wartime days, backgrounded his quality as a brave airman. He could well have been forgiven had he said, “That's eough! I've had it” but he continued flying for nearly thirty years with the company and retired after a distinguished career in 1980. This airman's steadfastness, his skill and his superb airmanship have never been adequately recognised either by Government or by the airline to this day. That tale is on pages 117 and 118 in the book. Although it doesn't mention the specific Solent involved in that incident, I have a vague recollection it may have been ZK-AMM Ararangi c/n SH.1557. Somewhere, amongst the numerous books and other stuff I've got about Short's flying-boats, is another account of that incident with more details including identification of the airframe. But I haven't been able to locate it while carrying out a cursory search. It's somewhere, but just not immediately obvious. I'll locate it eventually, most likely when I'm looking for something else.